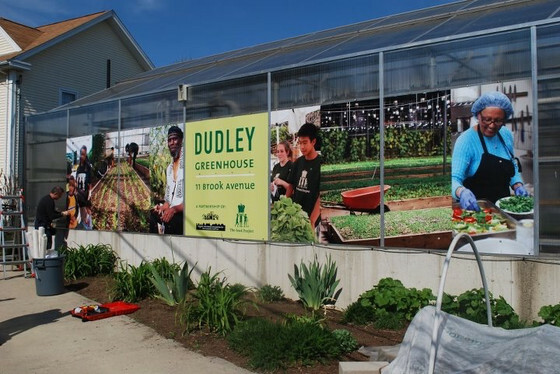 "To empower Dudley residents to organize, plan for, create and control a vibrant, diverse and high quality neighborhood in collaboration with community partners." n the fall of 1988, the Boston Redevelopment Authority (BRA) approved DNI’s request to become a Massachusetts 121A Corporation. That status allowed DNI to accept the power of eminent domain to acquire privately-owned vacant land in the area designated as the Dudley Triangle. DNI combines vacant lots acquired via eminent domain with City-owned parcels and leases these to private and nonprofit developers for the purpose of building affordable housing consistent with the community’s master plan. 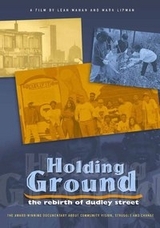 Through its 99-year ground lease, DNI can require that its properties be used for purposes set forth by the community. It can also establish parameters on the price that homes sell for and can be resold for. 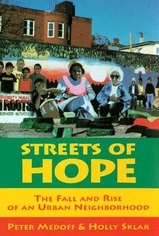 In 1993 The Food Project connected with DSNI to recruit youth from the neighborhood for The Food Project’s summer youth program. 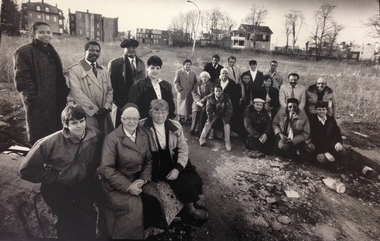 In 1995, DSNI offered The Food Project a half-acre parcel of city-owned land at the corner of Langdon and George Streets. 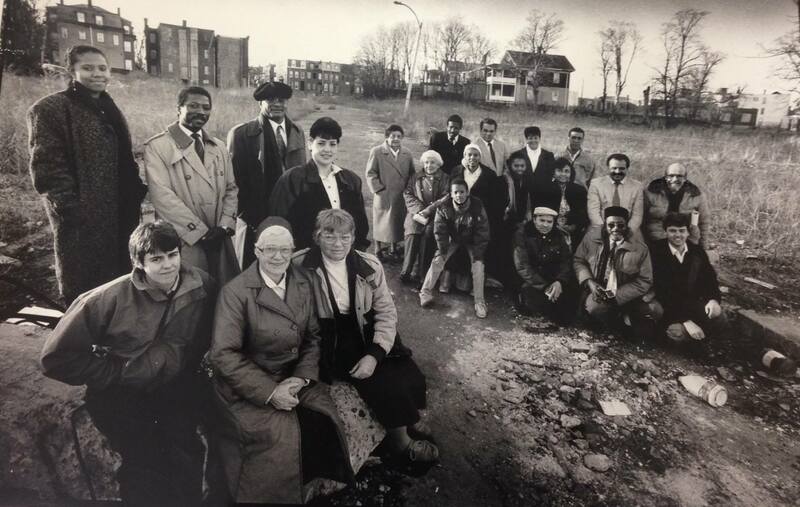 The lot had been cleared of debris from 3 houses that had once stood on the land, and in 1995 Food Project youth spent a week in the city spreading 10 truckloads of compost (more than 300 cubic yards) on top of the lead contaminated land that lay underneath. 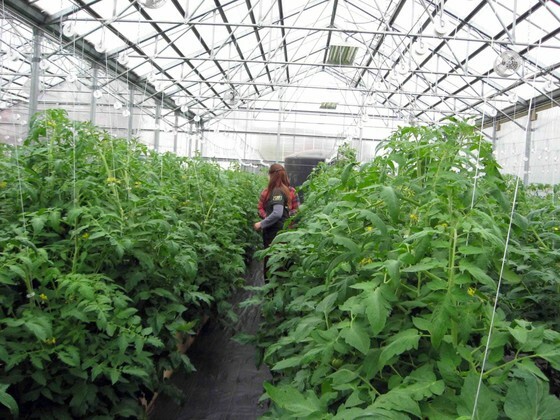 By the summer of 1996, lead tests showed that the land was clean enough to grow on and we began working the land, growing labor-intensive crops and specialty ethnic crops that were particularly popular in the neighborhood. In 1997 a 1.4 acre parcel of land only a few blocks from the Langdon Street site became available. This land had once been the site of a small neighborhood of 16 houses located around a cul-de-sac, all of which burned down in the mid-1960s. While initial grading, fencing and positioning of boulders to prevent cars from driving onto the land had occurred through the efforts of DSNI, The Food Project youth and staff again began the process of clearing trash and brush and spreading trucks of soil and compost. Beginning in 1998, we began growing on a section of this lot, while continuing the process of clearing and spreading new soil on other sections. 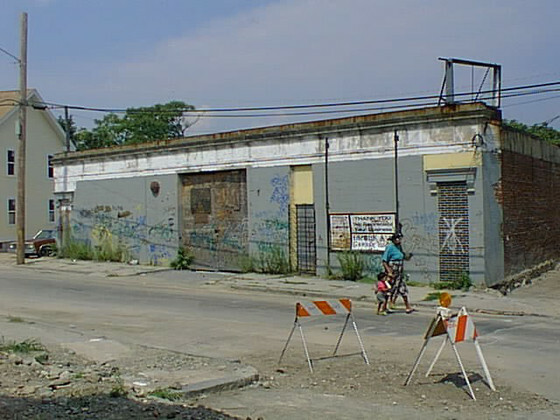 The Food Project began working on a third, single-house lot in the summer of 2001. Also within a few blocks of our other sites, the Albion street lot is owned by a neighbor who purchased the land in order to prevent further development on her street. She offered The Food Project use of her land in exchange for helping her with her own garden. Again, soil tests showed high levels of lead, and remediation was undertaken by spreading compost and soil over the area. 1. 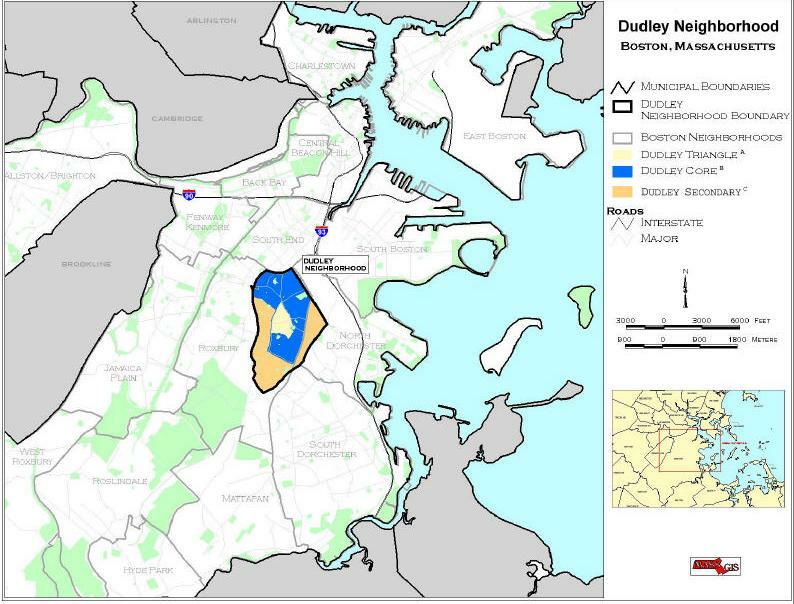 The Dudley Street neighborhood is one of the poorest communities in all of Massachusetts, with a population of 24,000 Cape Verdean, African-American, Latino, and white residents and with one of the highest rates of unemployment and poverty anywhere in the state. We're not a district, we're not a neat political unit; we are basically an area that was defined by devastation and poverty, an area that has suffered in a number of ways—suffering sometimes even caused by well-intentioned policies and practices. 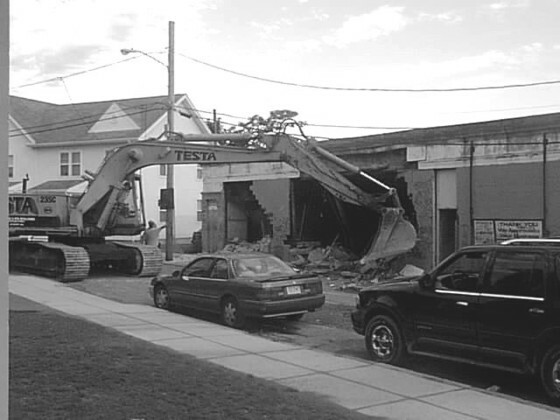 The cumulative effect of this devastation was that by 1984 the Dudley Street area had been reduced to 1300 abandoned lots filled with rubble. You could stand in the middle of the one and a half square mile area that we call the Triangle, and you could literally turn in all directions and not see a building. It was an absolute wasteland, where once there had been a thriving Irish-Catholic and Jewish community. 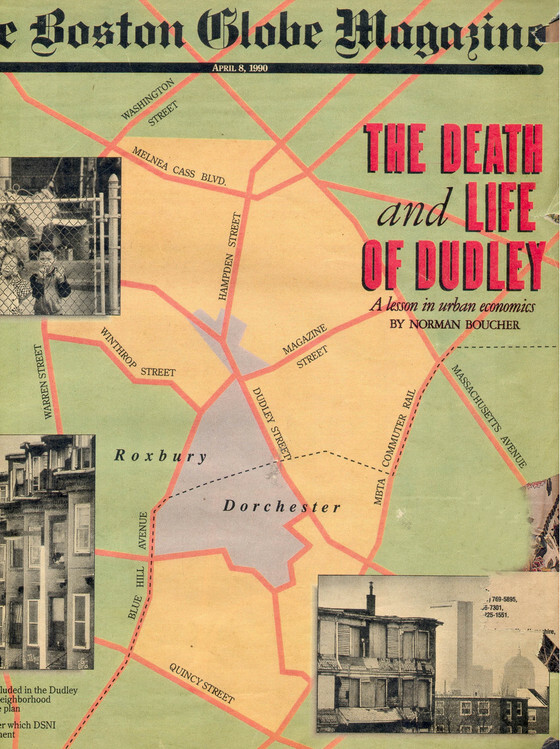 There were a lot of slumlords in Roxbury who were hoping for urban renewal to make them rich. They were waiting for the same thing that had happened in the West End and the South End of Boston. They were going to hold on to their property until they could make a financial killing. But the community said no. 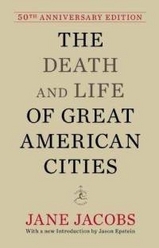 They didn't want urban renewal, and they stopped it. As a result you had a lot of people holding land and buildings they didn't know what to do with. They realized they weren't going to make their "killing," but they were determined they weren't going to suffer, either; they were going to minimize their loss. The way many of them did this was to burn their buildings down. Night after night after night there were fires. Everyone on the outside said, Oh look, they're burning down their own homes, they're destroying their own communities. What's wrong with those people? It was not the people living there who were destroying their community; it was the slumlords who were burning down their own buildings in order to collect as much insurance money as they could on what they perceived to be a lost cause. They burned until the whole area was virtually flattened. Imagine 1300 abandoned lots in the middle of a community! 2. 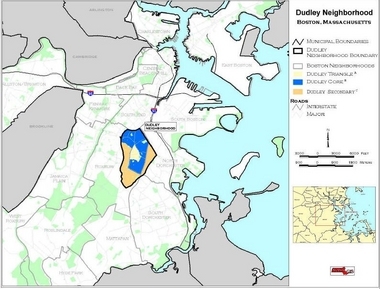 The Dudley Street Neighborhood Initiative (DSNI) is a nonprofit community-based planning and organizing entity rooted in the Roxbury/North Dorchester neighborhoods of Boston. 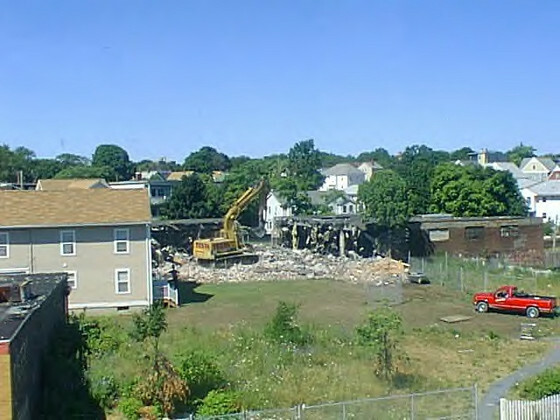 DSNI's approach to neighborhood revitalization is comprehensive including economic, human, physical, and environmental growth. 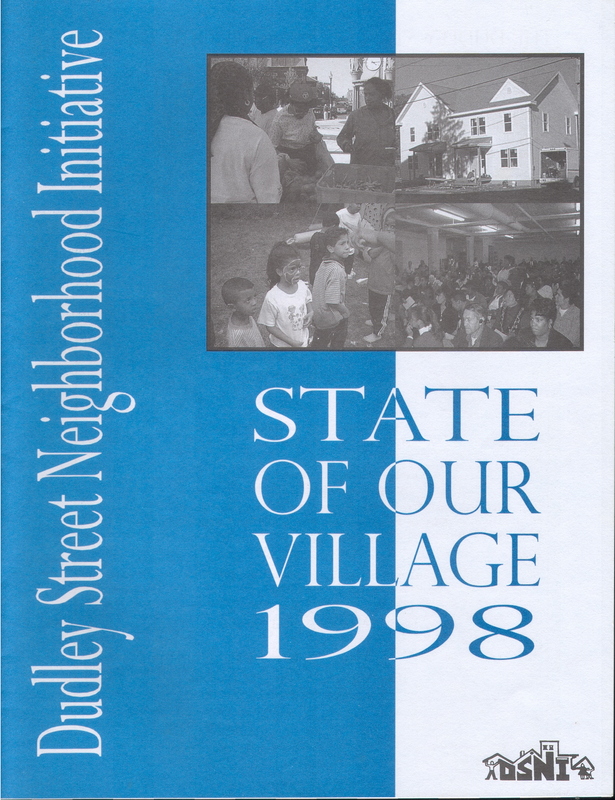 It was formed in 1984 when residents of the Dudley Street area came together out of fear and anger to revive their neighborhood that was devastated by arson, disinvestment, neglect and redlining practices, and protect it from outside speculators. 3. The wisdom we gain from our process for the most part comes from sitting around with a group of residents attacking a problem and realizing that what we need to solve the problems facing us is collective wisdom. Bucky Fuller said that as each human evolves, we each represent a potential way the universe could have evolved in terms of the principles embodied in how we develop. We want to tap as many of those universes as we possibly can. And that's really what the process at Dudley Street is doing. In 1987 a comprehensive plan was developed with the assistance of a consulting firm called DAC, International. That plan laid out the vision for the creation of an urban village. It integrated housing, economic development, delivery of human services, and open-space needs, offering a model for a twenty-first-century village. This village suggests a certain scale, which limits the kind of businesses we're looking for: we don't want an anchor store or industry. An anchor is something rigid that you plop down to stay in one place. We're looking for trimtabs. Bucky Fuller said the trimtab is one of the most important principles of what he called comprehensive participatory design science. If you understand a whole system, you'll understand that there is at least one place where you can apply a trimtab, which is a nautical or aviation term. In order to change the direction of a large oceangoing ship cutting through the water at a good clip, you have to apply a great deal of energy because the ship has built up momentum and the water has density. You have to overcome the momentum of the ship and the density of the water in order to turn the rudder. If you know just where to place a little flap at the trailing edge of the rudder, right above the surface of the water, you can turn that flap relatively easily. When you do, it creates a partial vacuum that turns the rudder, and then the rudder turns the ship. So if you understand whole systems and know where to place the trimtab, you can change the course of large systems with minimal effort and energy. You don't really need that long a lever; no, give me the trimtab. It's a good strategy to look for that trimtab instead of an anchor or a savior. We're looking at the trimtab approach to developing the community. The Dudley Street Neighborhood Initiative created its own governing board, a 29-member board of directors elected by the community every two years to guide the Initiative's planning and organizing efforts. These are public elections. Candidates for office campaign, and they take their role as community representatives very seriously. Who plans our community? Not the experts. We'll use experts, but we don't want them to come and tell us what to do. We may consult with experts in order to understand how to get something done once we have determined what it is we want to do. It's the community that then selects the developers and the architects. 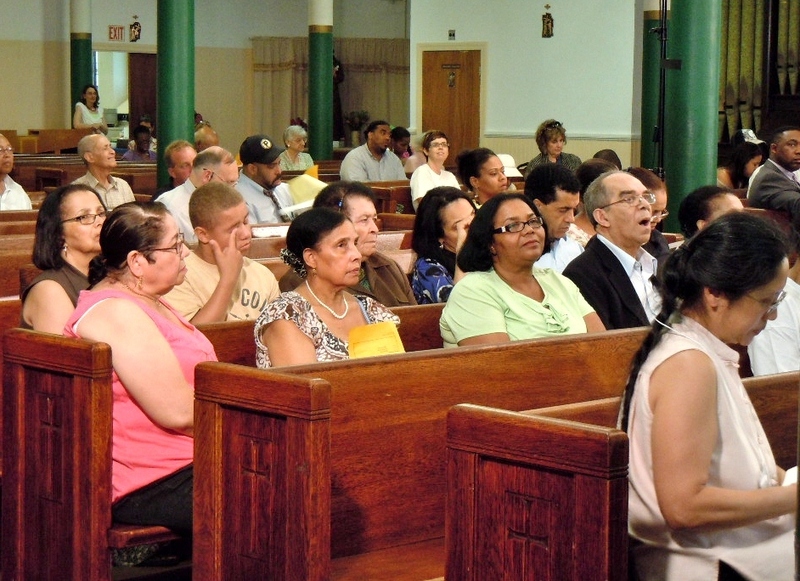 The architects have to come and present their designs at community meetings, and the residents do turn out for these meetings. 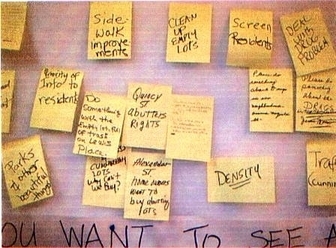 This is participatory democracy and participatory planning at work. 4. Civic alchemy is about process. The reason so many people are afraid of the process is because it's messy. But there's no way around the messiness. Community process is muddled. It's time consuming, it's aggravating, it's frustrating. If done right, though, it's also beautiful, and it works. We're always teetering on the cusp between success and failure, order and chaos, and that is the honest truth. In a process like this, because there is so little precedent for what we're doing, we are always teetering on the brink. Our success depends upon the faith we have in the process. There are times when the muddles get so bad that we've gotten stuck on a point for three or four days or even weeks. The inclination for most folks would be to say, That's it. Or to let the director or somebody else come in, make a decision, and get it done. But If you allow the process to go through, what you will understand is that the breakthroughs often come as a result of breakdown. When the process breaks down, we have to say, We can't do it within this framework; we have to jack our thinking up to another level.